The SPEA carried out the 23rd of August one more environmental education activity included in the program “Science and holidays” in Corvo. 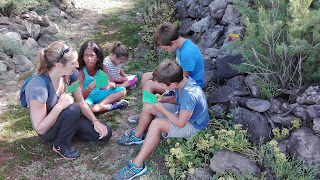 This was the second field trip where the little corvine people (a total of 6 participants) could learn in situ the secrets of the native flora of the Azores coastline. The action took place at the trail of the coast, since this coastal habitat shows invasive species (tamarisk or salt cedar Tamarix africana) and endemic ones (“vidália” Azorina vidalii, Solidago azorica). Students tested their observational skills and identified which plant species form the coastal vegetal community, as well as the most important environmental factors affecting this habitat and the pollinators with a key role in the reproduction of these plants. 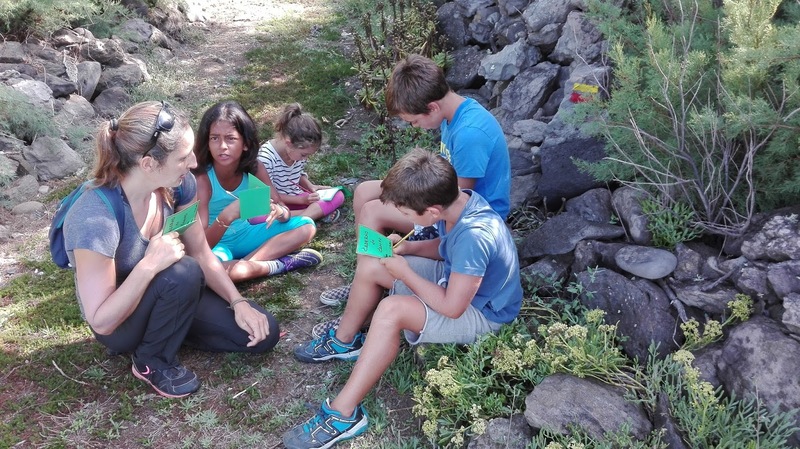 To finish, the kids developed their observational skills through the representation of a plant present there, as Azorina vidalii, endemic genre of Azores flora.